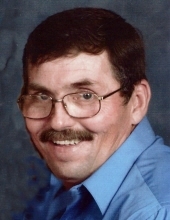 Frank "Danny" Daniel Cook, age, 56, husband to Cecilia Paige Cook, passed away, Monday, April 1, 2019, in Georgetown, Kentucky. Danny was born May 15, 1962 in Georgetown, Kentucky to the late Frank M. and Emma Jean Shingleton Cook. He retired after 27 years from Georgetown Public Works, he enjoyed tractor pulling, yard selling, Goodwill/peddlers mall, and playing on his computer (marketplace/craigslist). Most of all Danny enjoyed spending time with his family, especially his grandchildren. In addition to his wife, Cecilia, he is survived by his sons, Dwayne Cook (BJ Eckart) of Georgetown and Joshua (Ashley) Cook of Stamping Ground, 4 grandchildren, Gracie Cook, Aubrey Cook, Easton Cook and Lydia Cook, mother of Gracie and Aubrey Cook, Christin Cook, 2 step grandchildren, Bryson and Emmett Eckart. Danny is survived by his brother, David Lee Cook (Thelma), sisters, Diana J. (Mike) Morris, Wanda F. Clifton, Joyce Kenley, Judy (Frankie) Hobbs, Dottie (Stanley) Walls, Pam Cook and several nieces and nephews. He is also survived by two special friends, James Osborne and Stefon Young. Danny was preceded in death by his brothers, George Cook, Wayne Cook and brother in law, Freddie Clifton. Visitation for Danny will be 5 to 8 Wednesday, April 3, 2019 at Tucker, Yocum & Wilson Funeral Home with a 1pm funeral service on Thursday, April 4, 2019 at the funeral home with Rev. Chester Palmer and Mr. Stanley Walls officiating. Burial will follow the service at Midway Cemetery in Midway, Kentucky. Pallbearers will be Stevie Cook, James Osborne, Charlie Caywood, Billy Swartz, Stefon Young, Billy Ray Taylor and David Morris. Honorary bearers will be Donnie Walls, Mark Hobbs, William Murphy, Mickey Morris and Jerry Beatty. Online condolences may be expressed to the family at www.tuckeryocumwilson.com. To send flowers or a remembrance gift to the family of Frank Daniel "Danny" Cook, please visit our Tribute Store. "Email Address" would like to share the life celebration of Frank Daniel "Danny" Cook. Click on the "link" to go to share a favorite memory or leave a condolence message for the family.